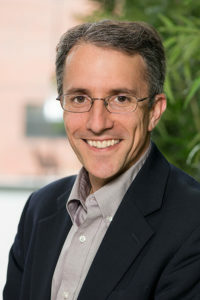 Jose Florez is Chief of the Endocrine Division and Diabetes Unit at the Massachusetts General Hospital , a Professor at Harvard Medical School, and an Institute Member at the Broad Institute, where he leads the Diabetes Research Group, co-leads the Program in Metabolism , and is active in the Program in Medical and Population Genetics. He and his group have contributed to the performance and analysis of high-throughput genome-wide association and sequencing studies in type 2 diabetes and related traits, in the Diabetes Genetics Initiative, the Framingham Heart Study, and other international consortia such as MAGIC, GENIE, DIAGRAM, T2D-GENES , AMP-T2DÂ and SIGMA, where he plays management roles. He leads the genetic research efforts of the Diabetes Prevention Program, where the effects of genetic variants on the development of diabetes can be examined prospectively, and their impact on specific behavioral and pharmacological preventive interventions can be assessed. He is the Principal Investigator of the Study to Understand the Genetics of the Acute Response to Metformin and Glipizide in Humans (SUGAR-MGH), and also conducts other pharmacogenetic studies at MGH. He is an author on 150+ original publications and 45+ reviews/book chapters. In addition to his research and teaching duties, he is clinically active in the MGH Diabetes Center, the Endocrine inpatient consult service, and the Down Syndrome Program. He serves on the Editorial Boards for Human Genetics and the Journal of Clinical Endocrinology and Metabolism, and has been on Editorial Boards for Diabetes and Diabetologia; he is also the Editor-in-Chief for Current Diabetes Reports . He is the recipient of the MGH Physician Scientist Development Award, a Doris Duke Charitable Foundation Clinical Scientist Development Award, the MGH Department of Medicine Stephen Krane Award, the MGH Research Scholars Award, and the 2010 Presidential Early Career Award for Scientists and Engineers, the highest honor bestowed by the United States government on science and engineering professionals in the early stages of their independent research careers.